photo by Coffeedoc, Santa Croce, Rome. Its the Feast of the Triumph of the Cross. This seems to many like a weird feast, a remembrance of unspeakable suffering…why would anyone do that? However, it is through the Cross that we find our truest selves. Obviously, in faith we know that without the Cross all would be lost. We would be lost. Without the the Cross and Christ’s saving action, the world as we know it would not be as we know it. That’s Christianity, 101. But too often that part of it all is forgotten in the felt banner, Hallmark card version of pop culture Christianity that is so pervasive. Who wants to be a downer, anyhow? Right? But…is it, really? Not so much. I, myself, don’t think I could get out of bed most days if not for this and my faith in it. Period. So, today I celebrate the Cross, with gratitude. 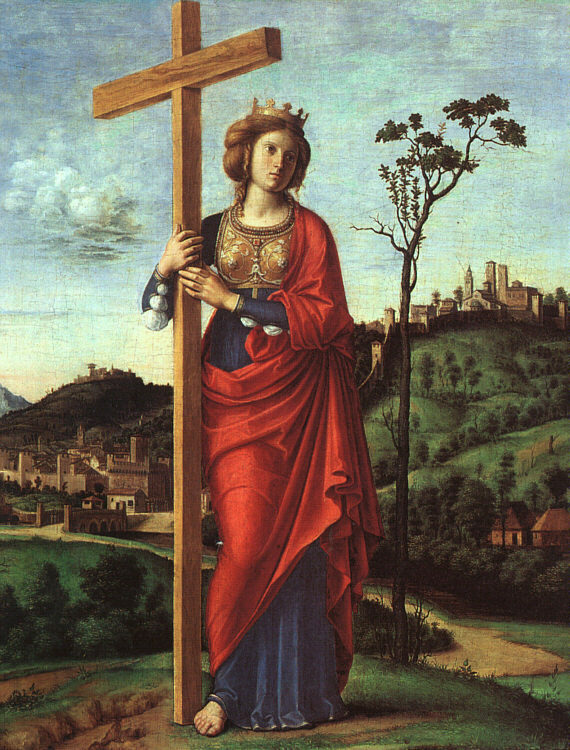 Painting of St. Helena, mother of Constantine, who found pieces of the true Cross, 326. 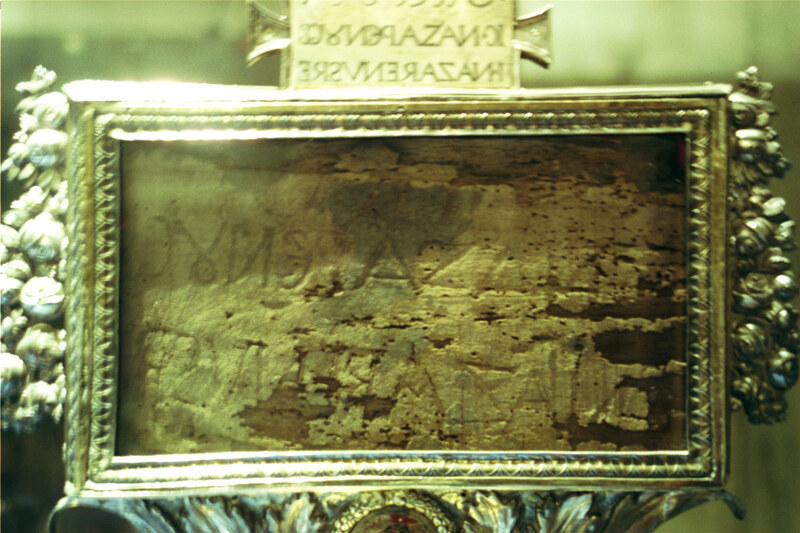 “We adore you O Christ and we praise you.